Dr. Brad Wilson is a diplomate of the American Board of Physical Medicine and Rehabilitation, the American Board of Pain Medicine, and is a Fellow of the American Academy of Physical Medicine and Rehabilitation. Dr. Wilson specializes in the evaluation and treatment of non-surgical spinal and musculoskeletal disorders. Dr. Wilson’s goal for his patients is to reduce their pain while at the same time increase their level of function and quality of life. He accomplishes this through a comprehensive pain approach in which he utilizes physical therapy, orthotics, interventional pain procedures and pain medication management. Dr. Wilson completed medical school at Kansas City University of Medicine and Biosciences. 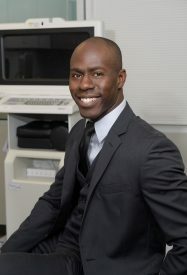 He then completed his residency training in Physical Medicine and Rehabilitation at the University of Arkansas for Medical Sciences in Little Rock, AR. 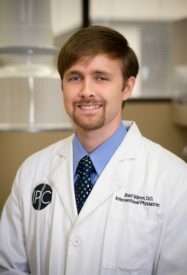 During his residency training he served as interim Chief Resident and also served on the GME resident council and was a member of the UAMS Sports Medicine interest group. 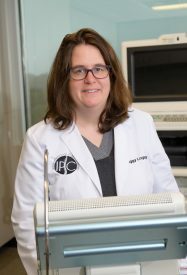 After residency, Dr. Wilson completed an interventional pain and spine fellowship in Brentwood, TN. Dr. Wilson is specially trained in diagnostic and therapeutic spinal injections. Dr. Wilson also has a special interest in regenerative medicine, including stem cell therapy, platelet rich plasma therapy, and prolotherapy. He also has two publications on fibromyalgia. Dr. Wilson originally became a physician to help those with pain because of his father’s condition of chronic pain. Dr. Wilson resides in Hendersonville, TN and enjoys spending time with his family, friends and church as well as coaching his son’s soccer team. Born in Puerto Rico, Dr. Rafael L. Prieto grew up in the American south. He earned a Bachelor of Science in Microbiology from Texas A&M University, followed by a medical degree from the University of Texas Medical Branch in 1995. Dr. Prieto then joined the military where he served eight years in the U.S. Army Medical Corps and rose to the rank of major. Dr. Prieto completed his residency in physical medicine and rehabilitation at Walter Reed Army Medical Center in 2000, serving as chief resident during his final year. While at Walter Reed, he gained valuable experience directing the rehabilitation and pain management of injured soldiers and individuals with chronic neurological, orthopedic and rheumatologic disorders. Dr. Prieto has specialized in pain management since 2000. 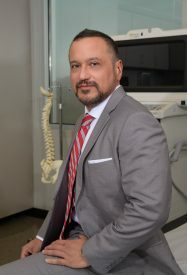 Dr. Prieto also has a special interest in regenerative medicine, including stem cell therapy, platelet rich plasma therapy, and prolotherapy. He is a diplomate of the American Board of Physical Medicine and Rehabilitation, the American Board of Pain Medicine, and is a Fellow of the American Academy of Physical Medicine and Rehabilitation. Peggy Logan, DNP graduated from Vanderbilt University with her doctorate and masters in Adult Nurse Practice. She has her associates degree in nursing from Aquinas College. She chose to work in pain management to create long term relationships with her patients and to help optimize pain management through numerous treatment modalities. Peggy has one son and lives in the Hendersonville community where she enjoys spending time with her family and numerous pets. Her hobbies include running and reading. 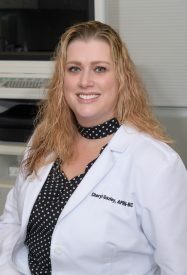 Cheryl Gazley, ANP-BC graduated from Tennessee State University in 2015 with her Masters in Family Nurse Practitioner. She earned her BSN from Austin Peay State University. Cheryl has two sons and one granddaughter and lives in Nashville. Her hobbies include running.